As ULUSOY TURİZM İŞLETMELERİ A.Ş. we attach great importance to the security of personal data, and to the processing, recording and sharing, and the transfer and storage of all kinds of personal data belonging to all individuals related to our Company and affiliates, including those who benefit from our products and services, in accordance with Law No. 6698 on the Protection of Personal Data (Turkish PDP Law). The protection of personal data is among the fundamental policies of our Company. Our Company prioritizes the protection of personal data, and have adopted this priority as a working principle, with all employees acting in line with this principle. Our Companies are committed to full compliance with all the responsibilities of the PDP Law. With full awareness of this responsibility and as data supervisor, we process, store, transmit, share and retain your personal data within the limits of the official regulations. Our Company's policy regarding the Protection and Privacy of Personal Data has been prepared in accordance with the PDP Law. As of today, this Law has entered into force with all its provisions. Your personal data is collected from you upon your approval or in compliance with the regulations according to the Turkish Republic Laws, This data, obtained with your consent or due to compliance with other regulations mentioned in the Law, is used to improve our services and quality. Your personal data will be processed and updated during the time that you benefit from our products and services. Anonymised data may be used for statistical purposes and is not subject to the application of the Law and the Policy. The “ULUSOY TURİZM İŞLETMELERİ A.Ş. Personal Data Protection and Processing Policy” aims to protect data that is automatically acquired from our current and potential customers, employees and employees of our partners, and other persons, and includes the implementations regarding these data. The Company reserves the right to change this Policy and our Regulations on the condition that all changes comply with the Laws and protect personal data. a) To comply with the rules of fairness and honesty: ULUSOY TURİZM İŞLETMELERİ A.Ş. considers the source of data collected or from other companies to be acquired and to be obtained within the framework of lawful and honest rules. In this framework, the Company performs necessary warnings and notifications to third parties (agencies and other intermediary institutions) selling services offered by ULUSOY TURİZM İŞLETMELERİ A.Ş. in order to protect personal data. b) To maintain accuracy and remain up to date when necessary: ULUSOY TURİZM İŞLETMELERİ A.Ş. attaches importance to ensuring that data is correct, does not contain false information and, finally, that personal data is updated when notified of changes. c) Processing for specific, clear and legitimate purposes: ULUSOY TURİZM İŞLETMELERİ A.Ş. only processes data in a limited manner for the purposes stated, presented and approved by data owners during the service. It does not process, use or permit third-party data use for purposes other than those stated. d) Being connected, limited, and measured for the purpose of their work: ULUSOY TURİZM İŞLETMELERİ A.Ş. uses data in a manner solely limited to the purpose for which it is processed and to the extent required by the service. e) Retention for the period required for the purpose according to applicable legislation or for which it is intended: ULUSOY TURİZM İŞLETMELERİ A.Ş. will retain data for the period required by trade and tax law on data derived from contracts. When this purpose is no longer in effect, the data is destroyed or anonymised. It is important for us to note that whether ULUSOY TURİZM İŞLETMELERİ A.Ş. collects or processes data in accordance with the law or consent, the principals stated above are valid. According to Article 11 of the Personal Data Protection Law, you have the following rights. To exercise your rights, an application form has been prepared by Ulusoy Turizm İşletmeleri A.Ş. d.	To be informed regarding domestic or foreign third parties to whom personal data is transferred. e.	To request correction of personal data if it is incomplete or improperly processed; and to request that a third-party recipient of such personal data is notified of any process conducted within this context. f.	To request the deletion, destruction or conversion of personal data within the framework of the provisions of Article 7 of the PDP Law; and to request that a third-party recipient of such personal data is notified of any process conducted within this context. g.	To object to unfavourable results achieved by analysing the processed data exclusively through automated systems. h.	To request compensation for damages due to corruption resulting from the unlawful processing of personal data. We respect these rights as Ulusoy Turizm İşletmeleri A.Ş. According to our principle of maximum saving or parsimony, data submitted to ULUSOY TURİZM İŞLETMELERİ A.Ş. is processed in the system only as necessary. For this reason, we determine which data to collect in line with the purpose. Unnecessary data is not collected. Other data reverted to our Company is transferred to Company information systems in the same way. Excess information is not recorded in the system, and such data is deleted or anonymised: anonymised data can be used for statistical purposes. Personal data of special nature is processed solely to provide better service to customers and to protect their health. This data is retained under strict security. In accordance with the PDP Law and the purposes stated in this Personal Data Processing and Protection Policy, your processed personal data will be deleted or destroyed or will continue to be used as anonymised by the Company when the purpose to be processed according to PDP Law Article 7 / clause f. 1 is no longer in effect and/or, according to the regulations, when the period within which we are required to process your personal data has expired. As a rule, data submitted to ULUSOY TURİZM İŞLETMELERİ A.Ş. is processed according to the declaration of the related persons. 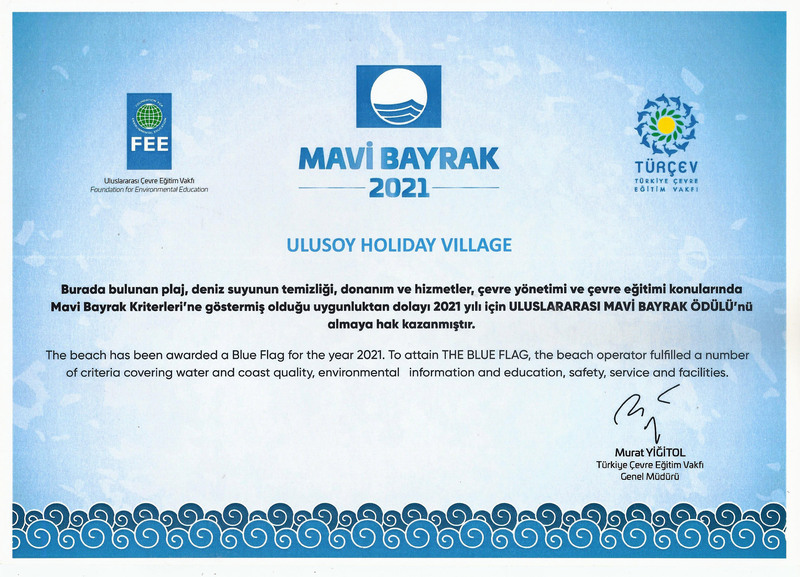 The Company is not required to verify the accuracy of data submitted by customers or other persons contacting Ulusoy Turizm İşletmeleri A.Ş., and this is not performed due to our legal and working principals. Data declared and submitted is considered to be accurate. ULUSOY TURİZM İŞLETMELERİ A.Ş. 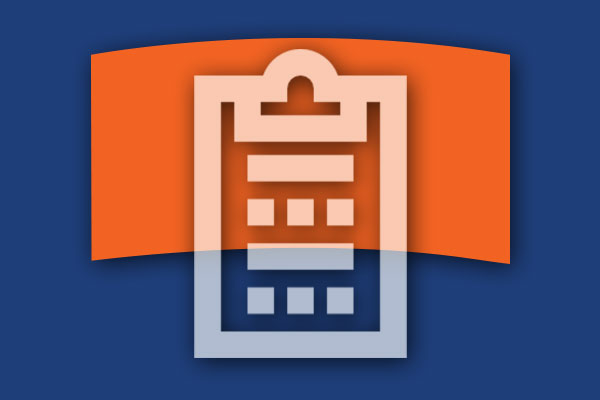 updates official documents or processed personal data upon the request of the relevant person. The Company takes the necessary precautions for this matter. Personal data is confidential and ULUSOY TURİZM İŞLETMELERİ A.Ş. respects this privacy. Personal data may only be accessed by authorised persons within the company. All necessary technical and administrative measures are taken to protect the personal data collected by ULUSOY TURİZM İŞLETMELERİ A.Ş. and to prevent unauthorized persons from gaining access, and our customers and customer candidates from being victims. Within this framework, it is ensured that software conforms to standards, third parties are carefully selected and that data protection policies are respected within the Company. The collection and processing of personal data by ULUSOY TURİZM İŞLETMELERİ A.Ş. is carried out in accordance with the purposes stated in the Policy. Data is collected and processed to establish the contract and provide better service to customers. If a contractual relationship has been established with our current and prospective customers, this collected personal data can be used without the consent of the data owner. However, this usage takes place in accordance with the purpose stated in the contract. In accordance with the requirements of the contract for better execution and service, data is used and updated when necessary by contacting customers. Data collected from potential clients is processed in order to offer easier access and quality service in the future. This data is deleted upon the request of the data owner if a contractual relationship is not in effect. ULUSOY TURİZM İŞLETMELERİ A.Ş. is committed to complying with the applicable Law and regulations when sharing data with its business partners. Such data is shared with business and solution partners under confidentiality and as required by the service, and they are required to take precautions towards data security. In accordance with the Law on the Regulation of E-Commerce and the Regulation on Commercial Communications and Commercial Electronic Communications, an electronic message for advertising purposes may only be sent to persons who have explicitly consented to receive such communications. ULUSOY TURİZM İŞLETMELERİ A.Ş. complies with the details of consent determined in accordance with the same legislation. Consent is required for the following: all commercial e-mails sent to the contact addresses of the receivers to introduce your company’s products and services, perform marketing activities, introduce the facility or send notifications of promotions or other messages. This consent may be obtained in writing or via any kind of electronic communication. However, such consent must be explicitly stated, with a positive declaration of acceptance of sending a commercial electronic message, name and surname, and electronic contact address. ULUSOY TURİZM İŞLETMELERİ A.Ş. may process the personal data of its employees, in order to express processing clearly in the relevant legislation or for the purpose of fulfilling the legal obligation specified by the legislation, also without approval. The nature and extent of data processing must be in accordance with the legal provisions required for legally permitted data processing activity. Personal data may be processed in accordance with the Company's services and legitimate purposes. However, the data may not be used for any illegal services in any way. Per Article 6 of the PDP Law, personal data that could cause victimization or discrimination if processed illegally has been designated as "private". This data includes biometric and genetic data with respect to race, ethnicity, political affiliation and philosophical and/or religious beliefs, as well as association, foundation or trade union affiliation or membership, health, clothing, sexual life, criminal background and security measures. ULUSOY TURİZM İŞLETMELERİ A.Ş. acts in accordance with the regulations set out in Article 6 of the Law on the Protection of Personal Data for the processing of special categories of personal data, and acts sensitively regarding the protection of such. ULUSOY TURİZM İŞLETMELERİ A.Ş. may only process personal data of special nature with the assurance that the Company will process such data only with the explicit consent of the individual providing the data, and only for collection purposes and to provide better services. ULUSOY TURİZM İŞLETMELERİ A.Ş. acts in accordance with the Law regarding data processed via automated systems. Information obtained from this data without the explicit consent of the data owner may not be used against the owner. However, ULUSOY TURİZM İŞLETMELERİ A.Ş. may make decisions regarding persons for whom they will take action using the data in their own system. In the case of collecting, processing and using personal data on the websites of ULUSOY TURİZM İŞLETMELERİ A.Ş. and other systems or applications, the relevant persons will be informed by private notifications and also regarding cookies, if necessary. Information regarding our applications are on our website. Personal data will be processed in accordance with the Law. The personal data of our employees may be processed without approval, to the extent required for business associations and health insurance. However, ULUSOY TURİZM İŞLETMELERİ A.Ş. ensures the confidentiality and protection of data belonging to its employees. ULUSOY TURİZM İŞLETMELERİ A.Ş. may process the personal data of its employees, in order to express processing clearly in the relevant legislation or for the purpose of fulfilling legal obligations specified by the legislation, also without approval. This aspect is limited to the obligations arising from the Law. ULUSOY TURİZM İŞLETMELERİ A.Ş. may process personal data without consent for transactions designed to benefit company employees, such as private health insurance. For disputes arising from business relations, ULUSOY TURİZM İŞLETMELERİ A.Ş. may process the data of the employees. Employees’ personal data processed via automated systems may be used in internal audits and performance evaluations. Our employees have the right to appeal against the outcome in accordance with internal procedures of the Company. Employee objections are also evaluated within the Company. Our website provides information regarding cookies used on the pages. These cookies include information regarding your preferences and website activity, optimising the website per user preferences and utilisation. Due to the nature of this type of cookie, they may include personal information such as user name, etc. The ULUSOY TURİZM İŞLETMELERİ A.Ş. websites, mobile applications and mobile websites work with trusted and known third-party advertising providers. Third-party service providers place their own cookies in order to offer you customized advertisements. Third-party cookies track visitors’ browsing information on the internet, collecting and processing data, and determining how users utilise the Internet. These cookies enhance user experience by providing content and products within the scope of the user’s interests and selections, and by offering a more sophisticated, personalized ad portfolio. The above session is permanent and functional. The background retention time for analytical and commercial cookies is approximately 2 (two) months and can be adjusted in personal internet browser settings. Removal from these settings may vary based on the Internet browser. Computers, telephones, e-mail and other applications assigned to employees by the Company may be used only for Company business. Employees are not permitted to use these tools for personal communication or purposes. The Company is permitted to control, monitor and inspect all data on these tools at any time. Employees must undertake not to have any data or information unrelated to Company business on the Company’s assigned computers, phones or other tools. From the time he / she start working. Personal data may be shared with business and solution partners and "ETS" affiliates in order to be seen by ULUSOY TURİZM İŞLETMELERİ A.Ş. » To suppliers of ULUSOY TURİZM İŞLETMELERİ A.Ş. in order to offer required outsourced services to our Company and to carry out the Company’s commercial activities. » To solution partners of ULUSOY TURİZM İŞLETMELERİ A.Ş. to carry out commercial activities. ULUSOY TURİZM İŞLETMELERİ A.Ş. has the authority to transfer personal data abroad according to the conditions set by the Protection of Personal Data Board on the Protection of Personal Data Law, in accordance with the other conditions of the Law, and with the consent of the individual for this purpose. 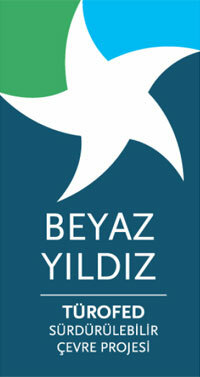 Within the scope of the PDP Law, ULUSOY TURİZM İŞLETMELERİ A.Ş. hereby acknowledges that the person who is the owner of his/her own personal data is the authority regarding the fate of this data prior to its recording, transmission, sharing and storage; and that the data owner has the right to approve and obtain information prior to the processing, recording, transmission, sharing and storage of personal data. Personal data owners retain no rights in relation to anonymised data within the companies. ULUSOY TURİZM İŞLETMELERİ A.Ş. may share personal data with related institutions and organizations to utilise the statutory powers of a judicial or state authority in accordance with business and contractual relations. Personal data owners can submit requests to exercise their rights as stated above. Data owners may submit the request to the contact address below by completing and printing out the application form on the website (http://www.kemerholidayclub.com.tr/en/KVKK) and signing it by hand. You must send the application, a pre-stamped reply envelope and copies of your identification documents (front side only for ID card) via registered mail to the contact address. Your application will be answered as soon as possible according to its contents or within a maximum of 30 days from the time of receipt. The rights regarding personal data are solely available for the individual's own data. Requests from an individual regarding the data of other persons will not be considered. ULUSOY TURİZM İŞLETMELERİ A.Ş. may request other relevant information and documents from applicants. The data of employees and other relevant persons related to ULUSOY TURİZM İŞLETMELERİ A.Ş. is confidential. This data may not be used, transferred, copied or reproduced via any means for any purpose other than business without explicit consent, a valid contract and/or legitimate purpose. All necessary technical and administrative measures are taken to protect the personal data collected by ULUSOY TURİZM İŞLETMELERİ A.Ş. and to prevent access by unauthorized persons and potential damage to our current and prospective customers. Within this framework, we ensure that software conforms to standards, that third parties are carefully selected, and that data protection policies are respected within the Company. Security precautions are constantly reviewed and improved. ULUSOY TURİZM İŞLETMELERİ A.Ş. carries out the internal and external inspections required for the protection of personal data. ULUSOY TURİZM İŞLETMELERİ A.Ş. shall act promptly to remove data if notified regarding any violation regarding personal data, in order to minimize and/or eliminate harm. It compensates the loss. If personal data is obtained by unauthorised parties, the Company immediately notifies The Board in compliance with the relevant Law and regulations. 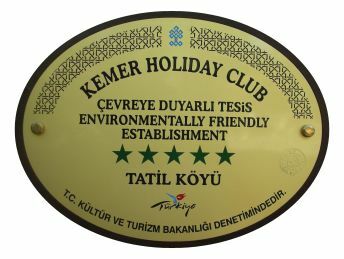 Reports of violations to the Policy may be submitted in accordance with the procedures stated on the website: http://www.kemerholidayclub.com.tr/en/KVKK. 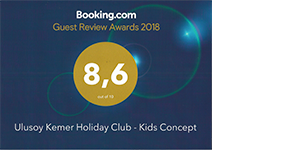 As announced on the http://www.kemerholidayclub.com.tr/en/KVKK website, all applications will be processed provided the submission includes the requested information, including documentation of identification, and is sent to the stated address via registered and reply-paid letter. The rights regarding personal data are solely available for the individual's own data. Requests from an individual regarding the data of other persons will not be considered. Forms that do not include your official ID documents will not be considered. We also would like to inform you that we are required to share the data with official authorities as requested, even when data deletion requests have been fulfilled. If you have questions regarding the Non-Disclosure Agreement, you can contact us using the information below.